Pokémon Trainers, get ready... The Pokémon Black Version and Pokémon White Version video games for the Nintendo DS™ family of systems are touring America! 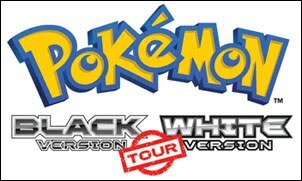 This Friday and Saturday the Pokémon Black Version & White Version Tour will be at the Garden State Plaza . Discover all-new Pokémon while you play the brand-new adventure. You'll have an opportunity to play the demo version of the game and learn all about its new features. Families can attend a free screening of the new Pokémon feature-length film,Pokémon-Zoroark: Master of Illusions, at the AMC Garden State 16 located at Westfield Garden State Plaza. Showtimes are 10am, 12pm, 2pm, 4pm and 6pm. Tickets are limited. Tickets available only at the Pokémon Information Booth. n: Snivy™, Tepig™ and Oshawott™, so bring your camera! Other exciting activities include a mall-wide Stamp Rally; a special Celebi™ character distribution at GameStop stores; plus contests, prizes, and much more! 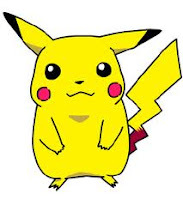 And don't forget to check out the Pokémon Center store.